As grand as I, I dare hope. It's been a few months for me, finishing up the end of the school year and getting use to our summer schedule. Also we were able to get away for a bit, some call that a vacation, my husband however does not since we traveled as a "family"...lol. But all is well that ends well and getting away even for a bit was much needed. 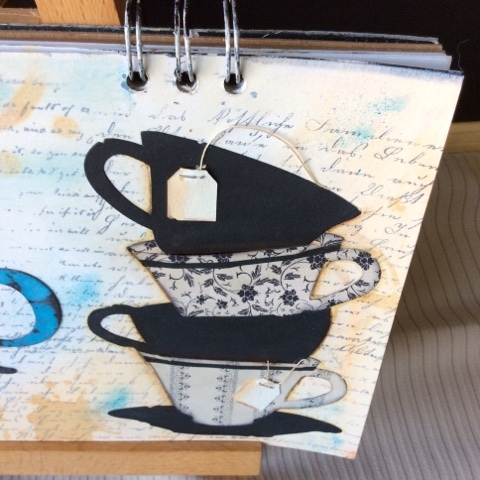 Today I thought I'd share another one of my art journal pages that I art lifted from none other than Vicki Papaioannou, you can see her art journal page here if you are of the curious sort such as myself. 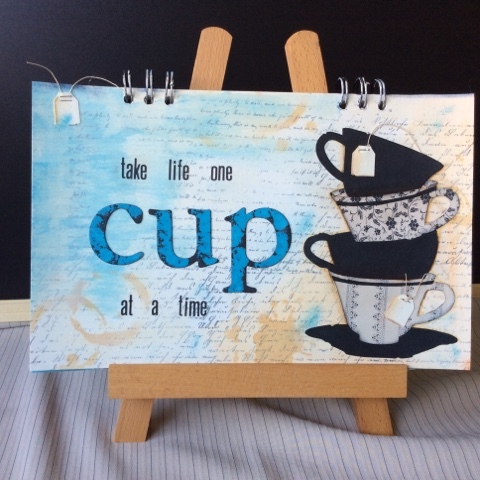 I absolutely love the way my page has turned out, it started nothing like Vicki's page, she has a lot more texture on her background layer than I but the end results are very similar, with the title of course and the stacked cups. For my cups I used my Tim Holtz Sizzix die to cut them instead of free drawing them and what's nice about this particular die is that it makes them super easy to actually stack, there is a slit in the top of each cup to slide something else into it, so say you wanted a spoon in your tea cup...with that little slit towards the rim of the cup it will totally look like the spoon is inside the cup. This die also cuts out the tea bag tag which I think is absolutely adorable and why would you have tea without the tea bag tag? 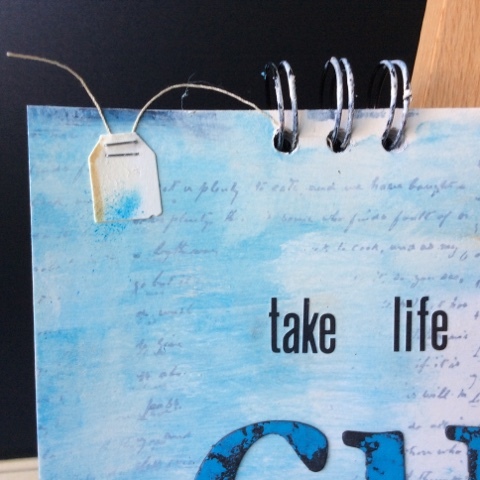 Or in this case a page about tea without a tag at the top of your page? 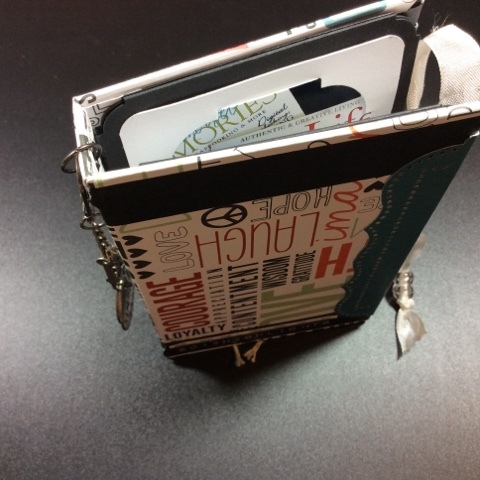 So that's my take on Vicki's art journal page. I love my end result as much as I loved Vicki's. Her process videos make following along so simple and after watching even one or two you really feel like you have learned something useful, enough that it made me want to try my own hand at a page so...there you have it, hope you like it and even more so I hope that you'll check Vicki's channel out and give it a go yourself. Thanks for stopping in and have a delightful day!